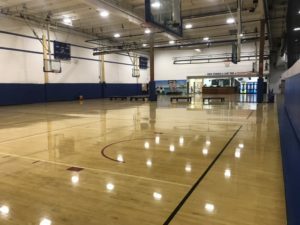 We offer three basketball courts. 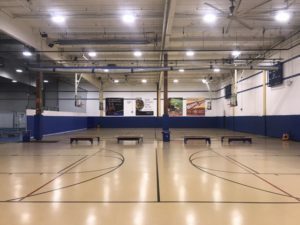 Two courts are hardwood the third is synthetic and all measure 30 ft by 60 ft.
We offer two indoor multi-use fields (72 x 172) with Field Turf and electronic scoreboards. Soccer leagues; tournaments; training programs; practice rental time. 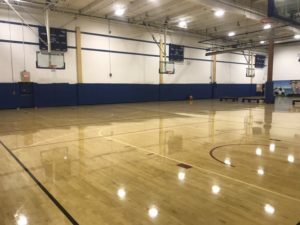 League programs include adult male, adult female, and adult co-ed. Must be 18yrs or older. You can also rent the fields for practice time. We do not allow football on the fields. Is after 9 pm Fri., Sat., and Sun. Rentals are for 55 minutes.